I wanted to wish each and everyone of you a Merry Christmas. I feel blessed to have met so many crafty people this past year. I feel like all of you are an extension of my family. Just in December, I attended a local craft group (Croppin' Crazies) and met another group of amazing ladies. They had a "Make N Take" which I am sharing with you today. All papers were donated by the hostess of the crop along with the metallic and red ribbon. The embellishment on the front was given to me by a girlfriend who attended the crop with me, and was working on a Christmas Scrapbook. 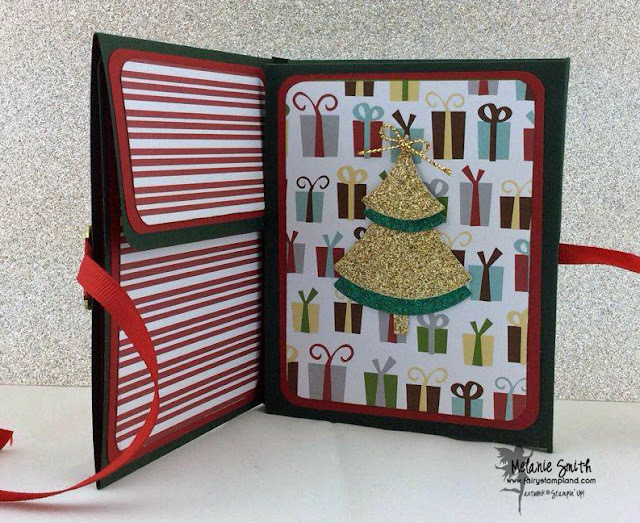 (Thank You Barbara) All other embellishments were brought by me and it was such fun decorating this sweet little booklet. 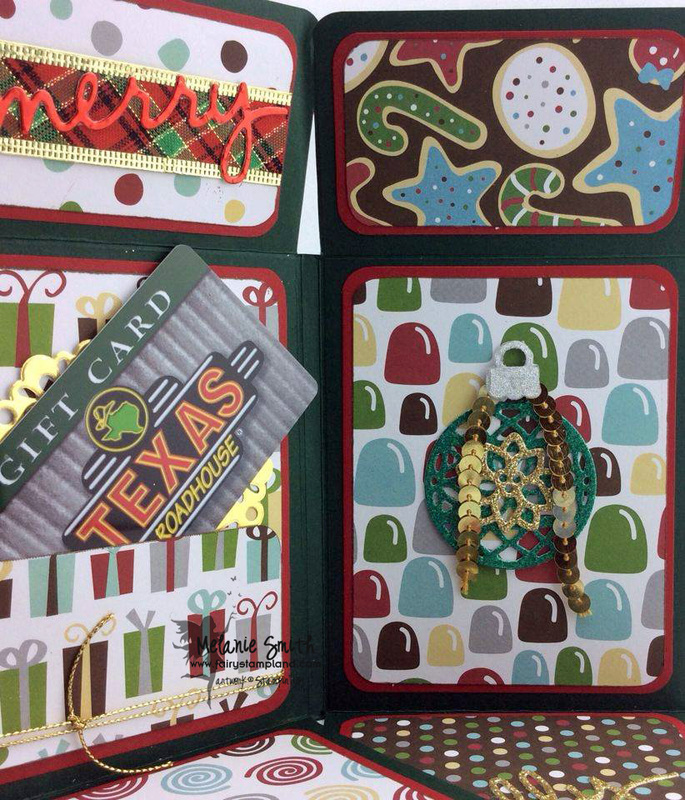 The entire project opens to reveal a gift card pocket and multiple embellishments. 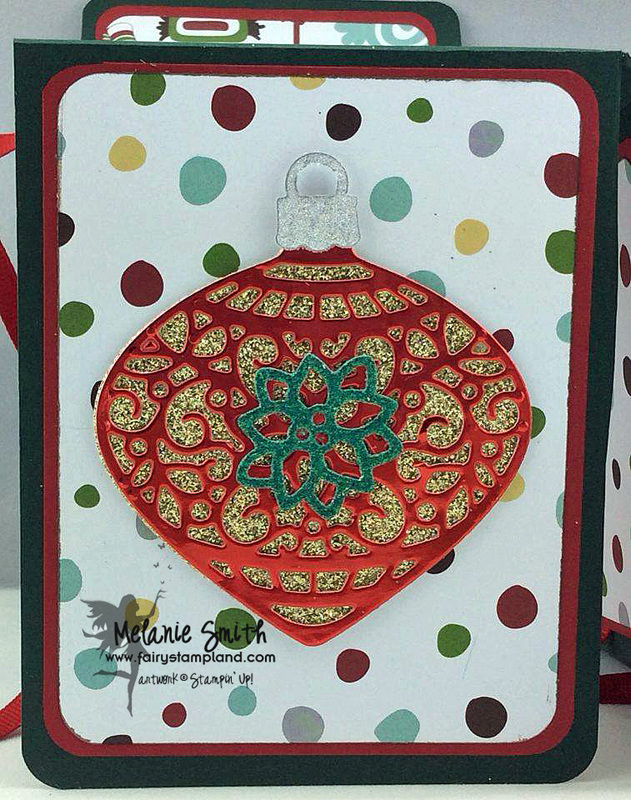 The ornament Thinlits set I have used in multiple sections is the Delicate Ornament Thinlits Dies from Stampin' Up! These produce beautiful intricate ornaments and there is also a stamp set that coordinates with them. You can get the BUNDLE for 15% off. I hope you all have a beautiful Holiday season and that you will consider "Following" my blog in 2016. 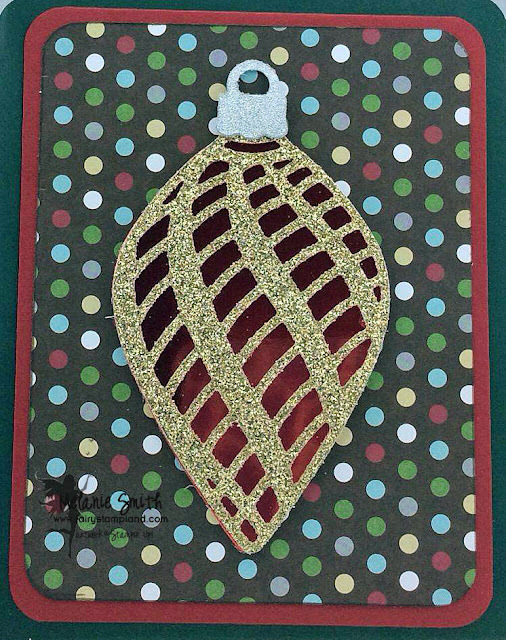 The New Year is right around the corner so Crafts & Me is having a fun challenge on their Facebook group using the "Celebrate" Theme. I have colored up Hannah Lynn's digital image called "City Girl" from the Crafts & Me STORE for my design team card. I absolutely love this image and had so much fun coloring it. City Girl is ready to Par-Tay! What celebrating will you be doing this New Years Eve??? I have used some beautiful paper flowers along with some Stampin' Up! punches and a new die set by Little B Designs for the Sentiment. Here is a close up of my coloring. I have colored her with Copic Markers. Thank you for stopping by today. 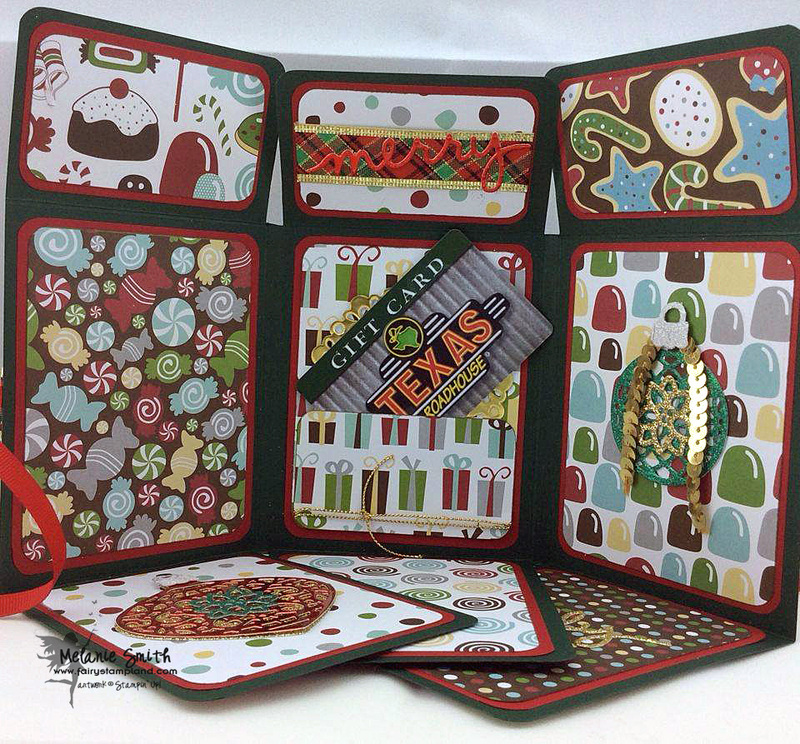 Head on over to the Crafts & Me Facebook Group to participate in our "Celebrate" Challenge!!!!!!! 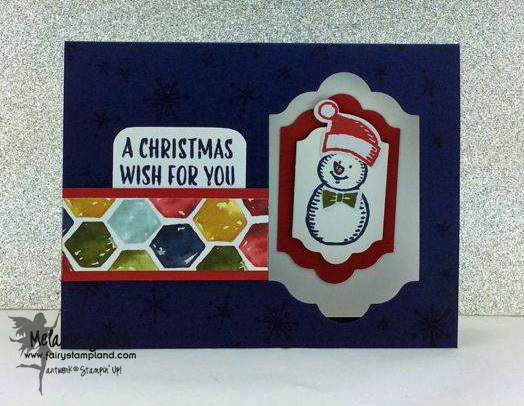 Stampin' Up December Class Samples ~ Last Minute Holiday Gifts! As promised I am here sharing with you my December Samples from my in home workshop. The girls and I had a lot of fun together. Our focus was on last minute Christmas gifts and stocking stuffers. We made 3 individual 3-D items. 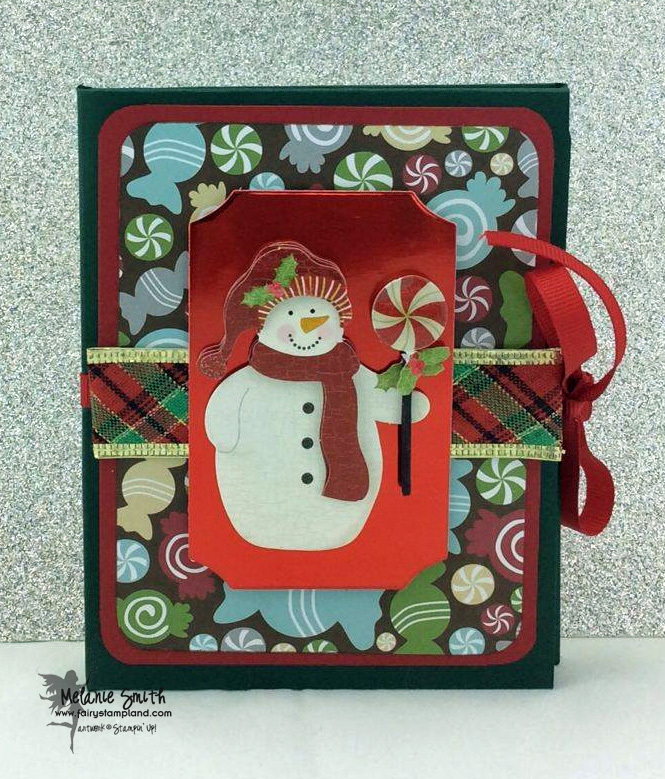 Our first project was a goodie bad which we filled with holiday peppermint patties. It was perfect because the bags are semi clear so the colors from the individual candies showed through the bag. 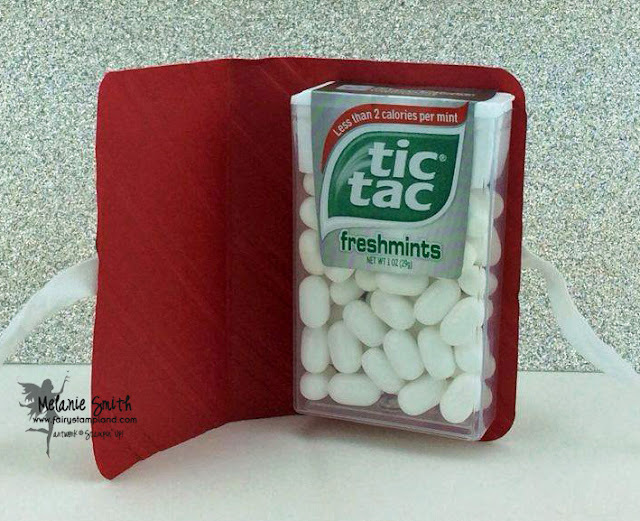 Our second project was creating an adorable Tic Tac holder. One of my friends said her husband loves Tic Tacs so it will be in his stocking on Christmas morning. 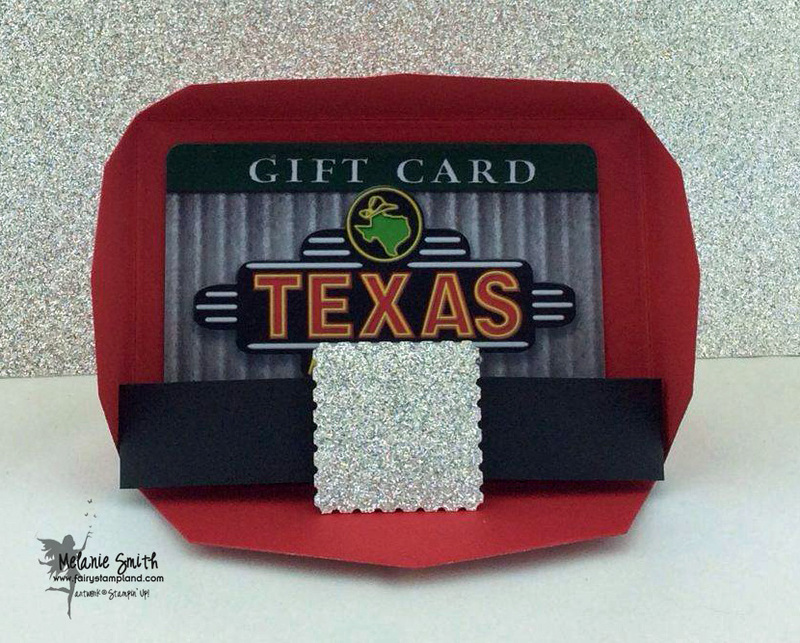 We then made a gift card holder. My mom gives gift cards for Christmas so she fell in love with this idea. I totally see using the Gift Card Envelope and Trims Thinlits Set many times in the future. Isn't the Belly Band made to look like Santa's Belt adorable? I used the retired postage stamp punch but the 1" punch would work perfectly as well. I have an exciting announcement to make. 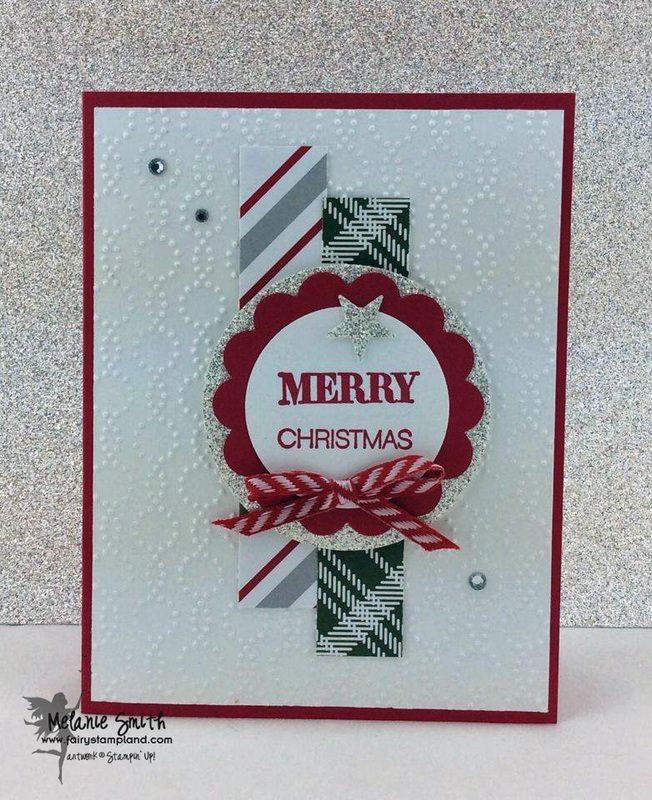 I have been working with the Stampin' Up! Development team training offered by the Corporate Office in Salt Lake City and it has helped inspire me to grow my SU! business by beginning to hold in home classes. I want to Thank Sara Rhodes for supporting me over the past 3 months and encouraging me to focus on and develop these classes. I am sharing with you my projects from my November Class. 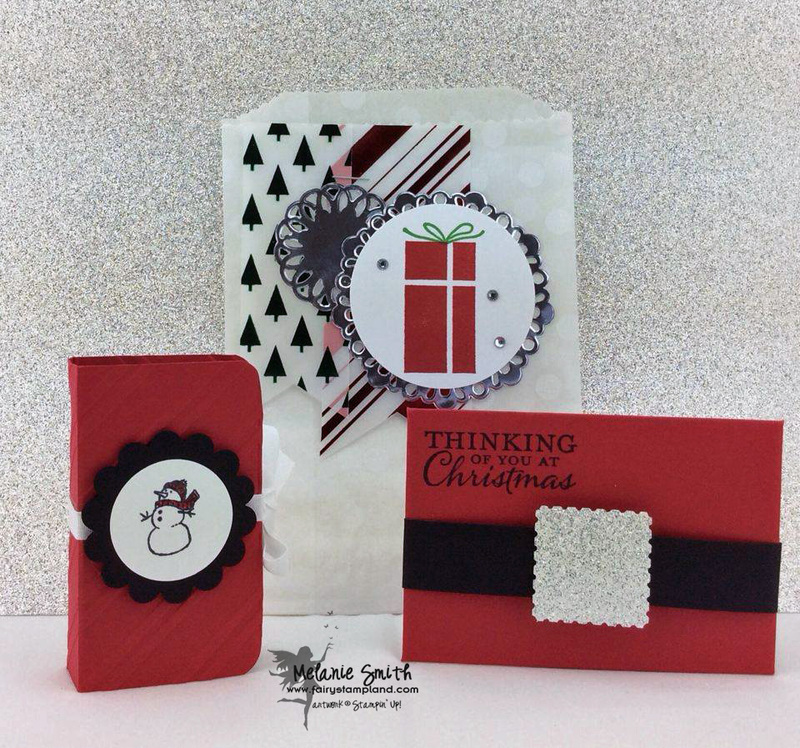 Our theme was "Christmas Cards" I designed 3 cards for my attendees to make and everyone at every skill level had fun creating these fun holiday inspired cards. see all products used just below each image by scrolling using the side bar. With each card I challenged my attendees by upping the skill level. Even the beginners enjoyed the more detailed designs. With this last card we got even jazzier using a scalloped shape, triple stamping and even heat embossing. Thank you for stopping by my blog today. If you have any questions about the class samples please feel free to contact me. I will share December's class samples with you next Monday. "Follow" my blog or sign up for "Email" notifications so you don't miss a post. 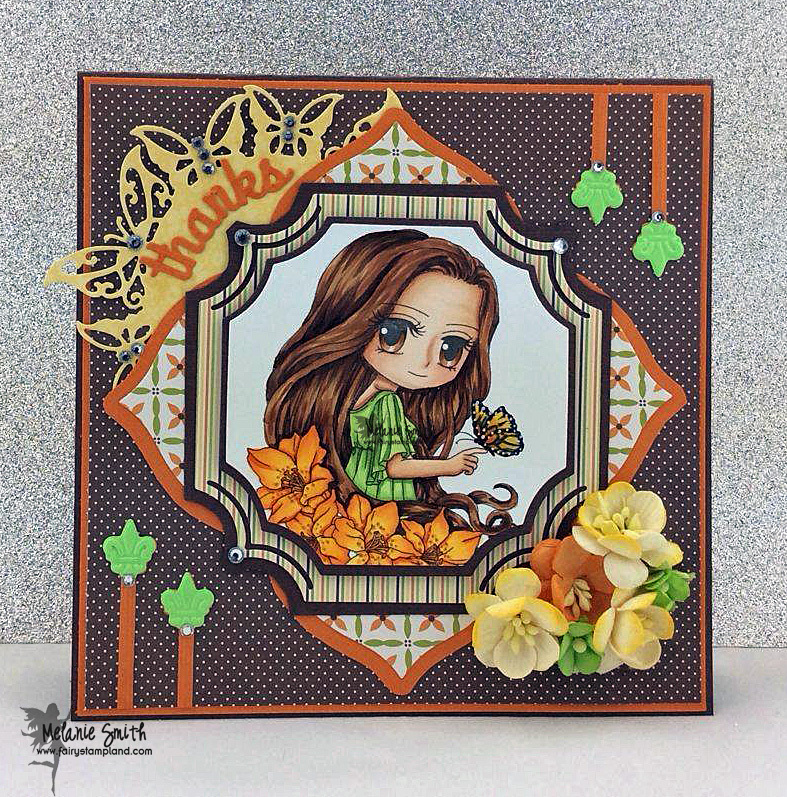 I am sad to say that this will be my last Design Team card for the Art By MiRan Facebook Challenge Team. I feel like I have grown a lot as an artist over the last 6 months while with them and look forward to even more growth in 2016. I want to thank Mi Ran Jung and all of the amazing Design Team members for being so supportive, especially throughout my surgery. You ladies are the BEST! Today's card is using a digital image named "Sophia". 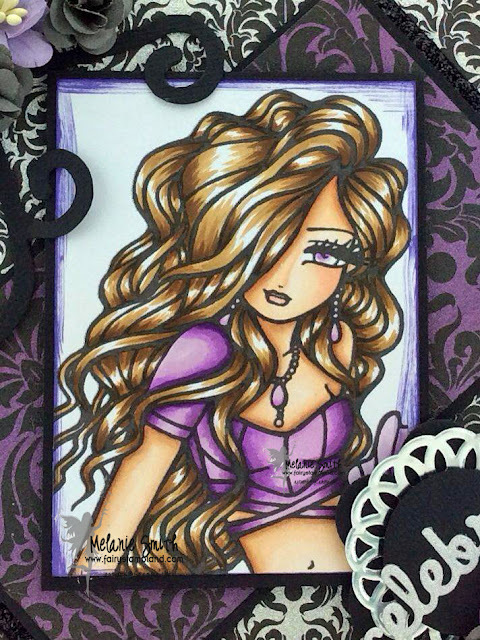 You can find her in our Etsy Shop by clicking HERE. You all know how much I love anything with wings so when I saw this newly released digital stamp I knew I must color her up. I chose a fall color theme and used the following photos as inspiration for my Copic Coloring. Head on over the The Art By MiRan Facebook page to get all the details of the current "Anything Goes" Challenge. I look forward to seeing everyone's entries. I hope this post finds you in the Festive Mood as Christmas is only 10 days away :-) I don't know about all of you but with my Christmas tree all decorated and presents currently getting wrapped, I am getting quite excited. For my Design Team card to for Polkadoodles I am bringing you a really "Festive" Card. 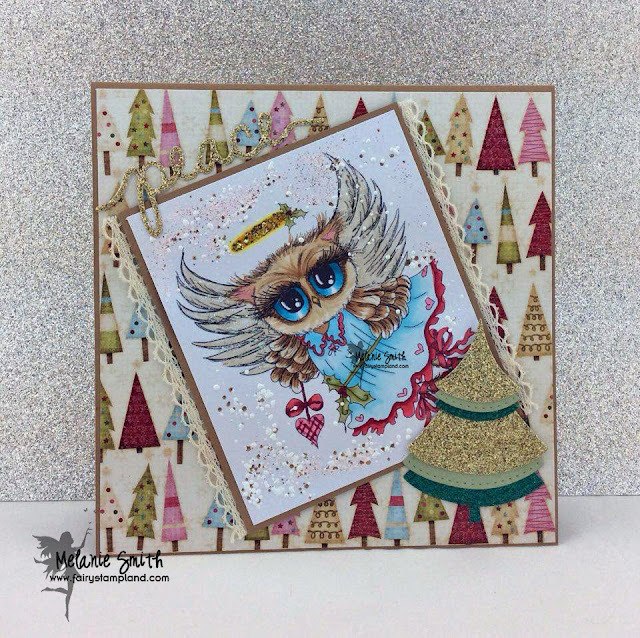 I am using the Twiggy & Toots Festive Fun Collection here which is full of an array of these adorable little owls. 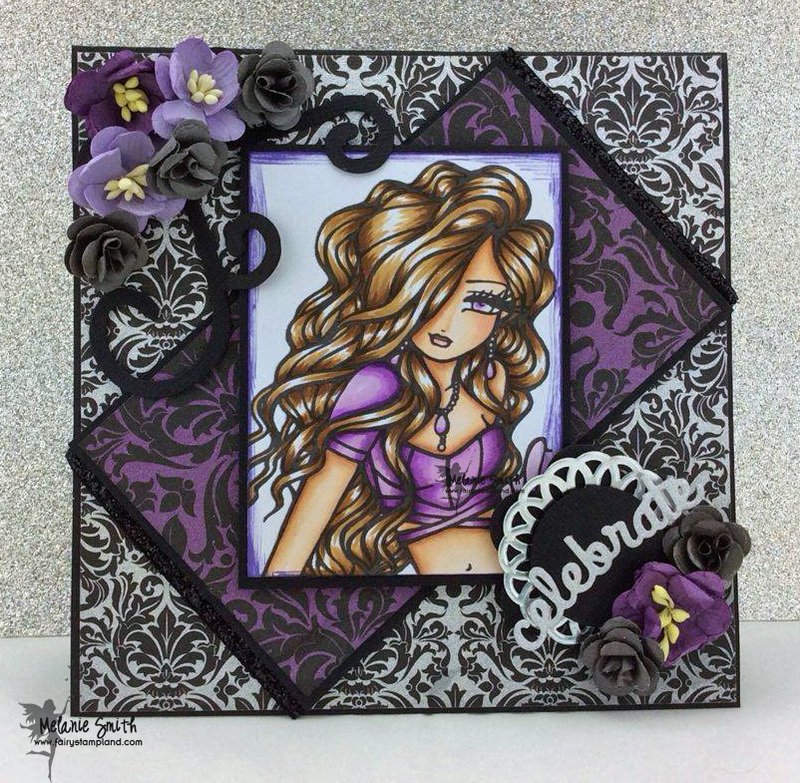 I have colored this beauty using Copic markers and have used Frantage Embossing Powder in the background to give it a snowy look. 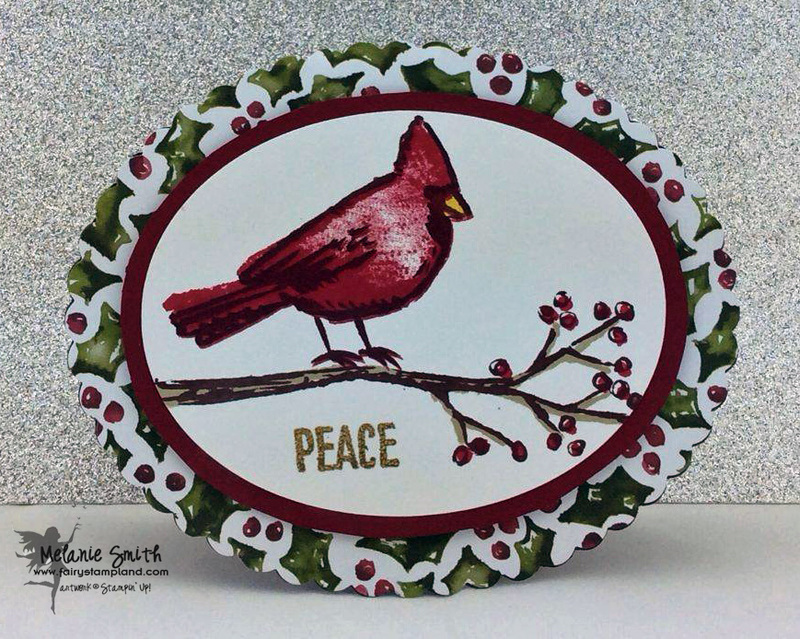 I have added a "Peace" Sentiment in Gold Glimmer paper along with a die cut tree using a La La Land Die. Didn't she turn out just precious?